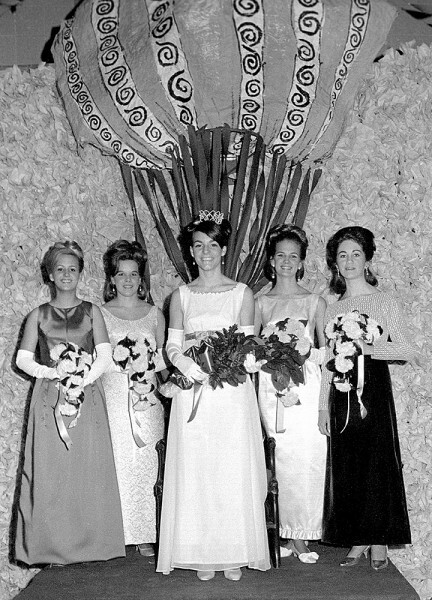 Here are the names as found in The Missourian caption on the September 21,1967, Youth Page: Miss Mary Hirsch, center, daughter of Mr. and Mrs. Ralph Hirsch, 1855 Thilenius, was crowned Central High School Girardot Queen at ceremonies last Friday in the school gymnasium. Her attendants are, from left, Miss Holly Lueders, daughter of Mr. and Mrs. Paul Lueders, 1115 North Henderson; Miss Jane Dunklin, daughter of Mr. and Mrs. Maurice T. Dunklin, 839 Alta Vista; Miss Georganne Penzel, daughter of Mr. and Mrs. George Penzel, 1844 Thilenius, and Miss Debby Holland, daughter of the Rev. and Mrs. W.T. Holland, 2221 Brookwood. Thanks, Ken. Today’s posting is much better than yesterday’s for me. In twenty-five years, I saw fire fatalities, fatal motor vehicle accidents and suicides; however the drownings were the worse for me. A favorite uncle drown in the Mississippi in 1949 and I don’t think our family ever recovered or forgot. Our Lake St Louis Fire Dept was one of two water rescue and recovery units in the region. Remembering these beautiful young ladies is much better. Really good looking gals!! I like the “throne” decoration, looks like a hot air ballon. I remember me and my buds be dazzled by the Central cheerleaders!! Especially at the basketball games…. Query how long it took to generate such big hair. Paul Leuders was a fantastic portrait photographer. He photographed me and my children.